Everyone’s a junglist these days aren’t they? You’re a junglist. Your dear old dad’s a junglist. Even that nice little old lady next door and her dog claim to be junglists. Everyone’s a junglist, marching into a bleak future to the tune of a hundred foghorns, skanking towards the light at the end of the tunnel to a parade of amens, saying they were there in ’92 when they weren’t even born, and inflating the price of second-hand Reinforced 12”s in the process. Everyone’s a bloodclart junglist. Except most of us aren’t true junglists at all, are we? Drum & bass fans? No doubt. Jungle appreciators? Of course. But true junglism is in the craft and curation, not just the consumption. It’s in the melting pot approach, it’s the creativity found within tight limitations. Most importantly, it’s the innate understanding of the ancient Jamaican art of dubplate culture. That undying urge to push things forward and create something that no other DJ has got: specials. “Being a jungle or drum & bass DJ is not about downloading or buying music to play,” says Carlos Lima, the Sao Paulo-born/Bristol-based artist we all know best as S.P.Y. “It’s literally producing brand-new stuff all the time, so I have something different for every set. Specials, edits, remixes, new tracks. I’m not doing my job if I don’t have these. I’ll just be a DJ who has access to the same promos as other DJs. I’m sorry, but that’s not me.” He’s talking to us from his Bristol studio just weeks away from dropping ‘Dubplate Style’, his third and, arguably, most remarkable album to date. Philosophically, technically and creatively, it’s jungle to the core — a sound that he’s loved since he was a kid in the mid-’90s, and grew up to move over to its spiritual stomping ground of London to learn English and study graphic design in the early 2000s. Lima loved mixing jungle, and collecting it. He loved everything about it and was there on the ground in his hometown of Sao Paulo, one of the first non-UK cities to truly develop its own jungle / drum & bass scene and community, following the likes of his city’s elders Marky, Patife and XRS. He can even remember when jungle records first started to infiltrate the city, how imports cost £30 a throw, and how a crafty bootlegger pressed up thousands of cheap copies of V and Metalheadz records, and accelerated Sao Paulo’s jungle transition faster than you can say ‘massive’. But even back then, he wasn’t a true junglist. The clue is in the word ‘explore’. This wasn’t about whacking an amen and a reggae sample together and calling it a soundsystem banger; this was about the sound, the textures, the techniques and mind-set. It was about taking everything he’d learnt over the course of 11 years of releases and touring, and flipping it. Carlos wanted to research, celebrate and ultimately imbibe the raw culture that founded the music he’d fallen in love with. He had deep talks with Remarc, Nookie, 2 Bad Mice, Fabio, Chris Inperspective, Total Science and many more pioneers. He amassed the machines that were popular during jungle’s inception; the Korg Trident, Korg MS2000, Roland JV 2080, Roland Juno, Yamaha PG500 and Korg Electribe drum machines. Even down to the DJing style: goodbye double drops, hello long roll-out blends. If S.P.Y was to make jungle records and perform with them, everything about it was to be authentic to the craft and true to his vision. He’s quick to note that it’s not the first time this has happened. Encouraging Lima to be his best, S.P.Y has been a consistent thread during his tenure on the south London label. His debut album in 2012, ‘What The Future Holds’, was a pretty diverse but predominantly heavyweight document that secured his position as one of Hospital’s biggest new generation players. It dropped as d&b was nearing its most vocally saturated, commercial airwave-chasing chapter. Two years later, he was digging deep into roller craft and more vocal-based tracks on his double album opus ‘Back To Basics’. He followed it with his last album-sized EP series, ‘Alone In The Dark’, a demonstratively club-focused banger parade. This time, trends have aligned in a different way, and Carlos has approached this album in a very different way, too. While his previous LPs have been broader in sound, ‘Dubplate Style’ is a much more focused concept, and lives within its own project. He does special Dubplate Style jungle sets, and hosts Dubplate Style events with more jungle-aligned DJs. Rather than developing the style he’s already established, it’s a whole new perspective on everything he’s done. It’s also important to note that he’s not the only man on a jungle mission right now. Inspired and stacked with tracks that no other DJ has. Which is where we hit the heart of the ‘Dubplate Style’ story and Carlos’s chronic junglism. 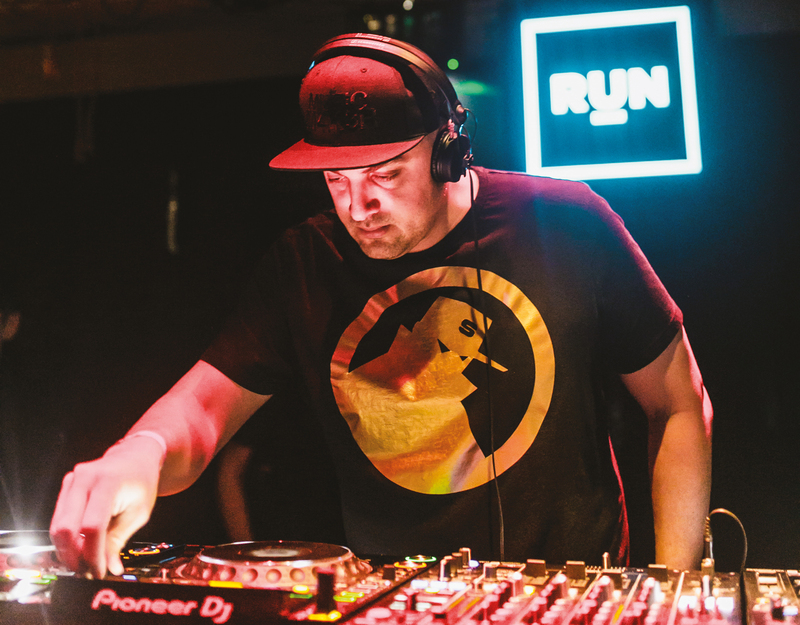 While the album rolls with more consistency, conceptual focus and timeless jungle dynamics than his previous albums (and even contains a generous helping of 130bpm UKG and breaks-inspired jungle), for S.P.Y, the true essence and allure of this project is that original jungle facet of having something special to offer his crowd — plates that no other DJ has, and that can be built up the classic way. It’s no coincidence that the genre at large is fixated with jungle, and there’s been more talk about dubplate culture in drum & bass these last two years than there has in the last decade. It’s the perfect antidote to the age of digital abundance.